Is your cat sneezing a lot? 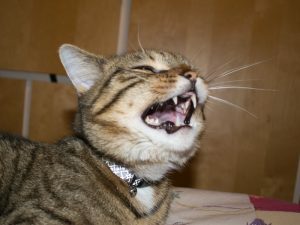 Just like for humans – there could be multiple things making your cat sneeze. 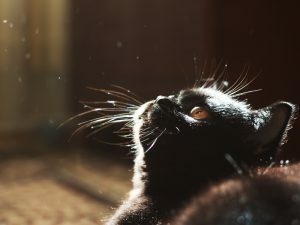 Though most of the time a cat sneezing isn’t cause for worry, if your feline is especially prone to saying “achoo!” it could be a sign of a more serious issue. The most common reason why your cat is sneezing is the same as it is for humans. Cats get a tickle in their throat or nose and need to sneeze to get rid of it. 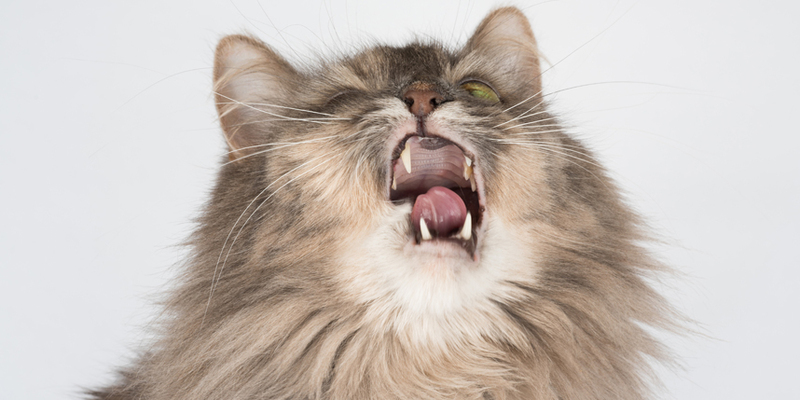 If you notice your cat sneezing occasionally, there should be no cause for concern. Sneezing is a normal reflex, both in cats and humans. If your cat experiences any nasal blockage, they may sneeze to dislodge it and clear their airway. If you notice your cat is repeatedly sneezing, it may be due to a medical condition. 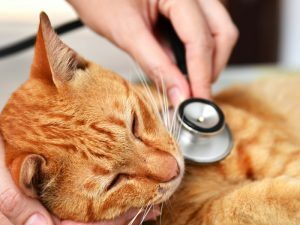 Upper respiratory infections are common in cats that have spent time in a shelter, and impact your cat similarly to how we get colds. 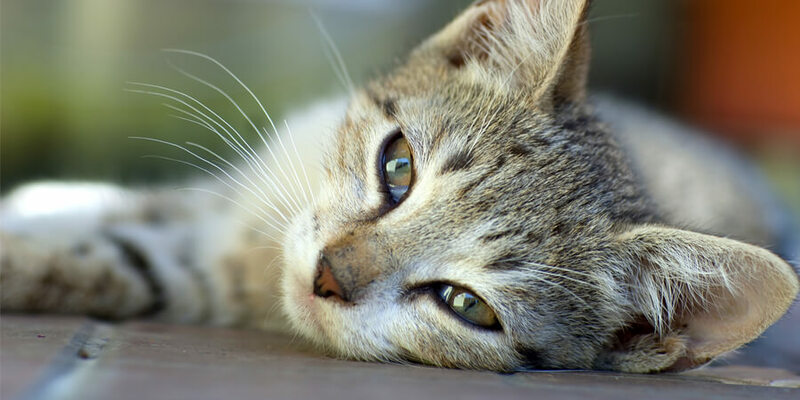 These infections often cause sneezing or wheezing and are more common in kittens and young cats. 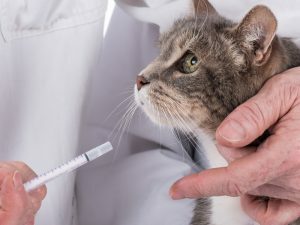 If your cat experiences any additional symptoms such as eye inflammation, nasal discharge, fatigue, trouble breathing or changes in appetite, they may be dealing with an infection. If you notice your cat repeatedly sneezing or wheezing, you should contact your veterinarian to help diagnose and treat the cause. It’s also possible that your cat is sneezing because they have allergies. Cats can be allergic to pollen, dust, mold or other environmental and chemical irritants, just like humans often are. If your cat experiences allergies, they may also be prone to getting itchy skin, ear infections or wheezing. 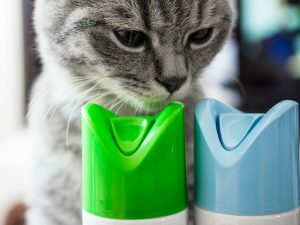 If your cat was recently given an intranasal vaccination, it may cause them to sneeze for up to a week afterward. If you notice your cat sneezing after exposure to any of these irritants you should discontinue use immediately. Most often, the cause of your cats sneezing is their natural reflex and is nothing to worry about. If you notice your cat repeatedly sneezing, contact your veterinarian for help with further treatment. If your cat is prone to allergies or sneezing from chemical irritants, try switching to a natural, corn-based litter such as World’s Best Cat Litter™.